I went in to bath and Body works because they had a buy three get three free promotion. It’s a great way to get gifts for others and treat yourself at the same time. After grabbing Winter Candy Apple for a friend, I grabbed Japanese Cherry Blossom and after about five minutes of looking for Cucumber Melon I had to stop the sales associate. Imagine my horror when she told me that Cucumber Melon was discontinued. I really hate when BABW does that crap. How can they discontinue a tried and true scent like Cucumber Melon? I asked the sales associate if she could recommend a scent to take its place and she recommended Country chic. I wouldn’t have bothered to smell it if she hadn’t suggested it. It’s supposed to smell like the countryside and has notes of lemon, wildflowers, and spring woods. I also get a whiff of fresh apples that is simply lovely. The scent is subtly sweet, fruity, and powdery fresh without being overwhelming. 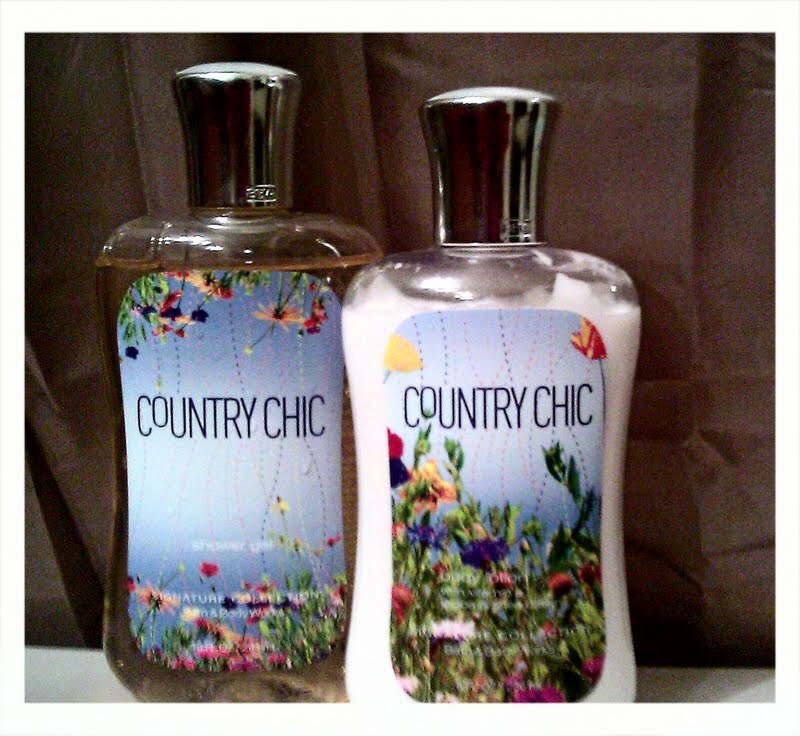 I will always miss Cucumber Melon but Country Chic is a definite contender.